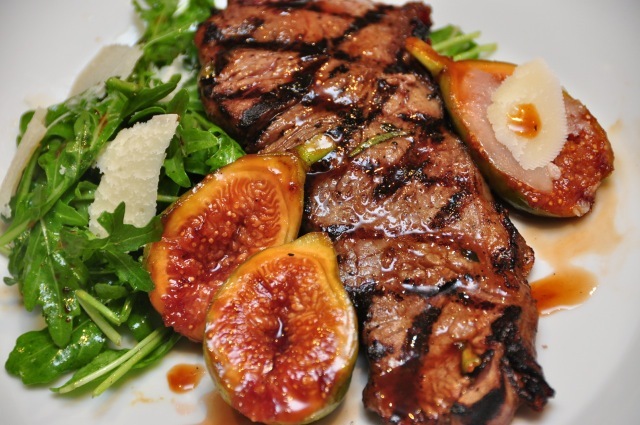 The sweetness of the grilled figs is a great accompaniment to sirloin steaks. This fabulous steak dinner is an easy option for summer entertaining. Using a mortar and pestle, pound garlic cloves, lemon rind and a few rosemary leaves. Stir in oil and vino cotto and combine into a course paste. Season to taste. Place steak on a plate, season with salt and pepper. Coat meat with paste. Place in refrigerator to marinate overnight or marinate at room temperature for at least 30 minutes. Cut figs in half, brush cut side with olive oil and drizzle with a few teaspoons of Vino Cotto. Set aside. Place rocket and Parmigiano Reggiano in a bowl. Whisk together extra virgin olive oil and Vino Cotto, season to taste, drizzle over salad and toss gently to combine. Heat a frying pan, BBQ or char grill pan over high a heat. Drain marinade from meat and cook to your liking. Transfer to a warm plate, cover and set aside. 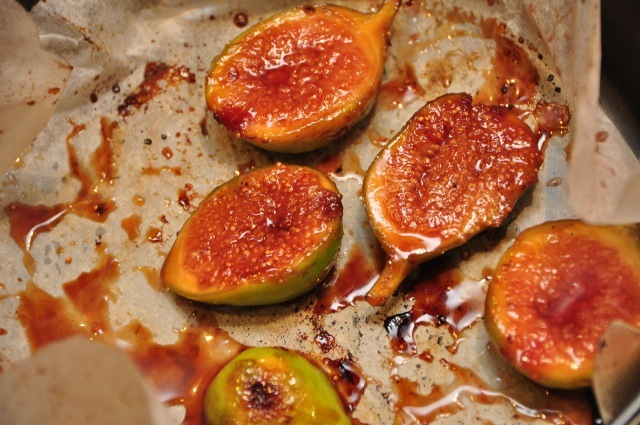 Using the same pan, cook the figs cut side down, until figs are warmed through and caramelised. Keep warm. 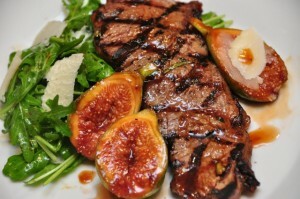 Serve sirloin steaks with rocket salad and grilled figs. Drizzle beef with pan juices from the figs and extra Vino Cotto.